I’m a little biased on the issue of “first look vs. traditional aisle reveal”, because I have experienced a first look, first hand! It was the absolute sweetest, most cherished part of our whole day and we wouldn’t trade that memory for anything in the world. It was so intimate and emotional. And I will never forget his tears as he told me to twirl for him in front of those great big, beautiful church steps and columns. THAT is what a princess feels like! The first look gave us time to talk after I revealed my dress/look and saw him in his precious khaki tux and bow tie, whereas during the ceremony, we would have been quiet and I wouldn’t have had my big twirl! The first look led into a sweet time of un-rushed photos with our photographer after she photographed the first look reveal. Our day was busy, with so many family and friends surrounding us, so we are extremely grateful for our first look. If you need another reason for a first look, this is just ONE of the intimate, beautiful photos that Angel (from Angel Ruff Photography) captured during the first look! Because of our first look, we were able to fit in all of the bride with bridesmaid photos, groom with grooms-people photos, my family photos and some of Mitchel’s family before the ceremony even began. So that also was a special time where just our closest family members and bridal party got to share with us. We laughed, spent time together, and enjoyed that time as well. For those of you reading this who just aren’t convinced, if you feel like you won’t get the “full effect” when you walk down the aisle to your soon-to-be-groom, I just need to let you know that Mitchel still cried when I walked down the aisle. The first look helped us both to be much less nervous and allowed us to be completely focused on each other while taking the moment in. The first look did not at all take away from the walking down the aisle. It was also very special, but the great part is, I had already gotten my ugly-cry out of the way, so my face was pleasant in the pictures during the walk down the aisle! 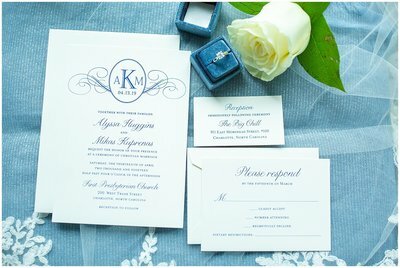 There is no “right” or “wrong” way when it comes to choosing a traditional, aisle reveal or a first look reveal. Weigh the pros and cons and choose whichever seems to fit you both best!